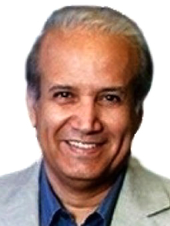 How can an unshackled Iran be confronted? In my article yesterday about the initial nuclear deal between the West and Tehran, I wrote an analysis of the topic’s previous chapter and sought to understand why Iran accepted the agreement and at what possible price. But what’s more important than the past is looking at the new Iran as a regime no longer subjected to the sanctions and pursuits which had restricted it in past 30 years. I believe we are facing an agreement like that of the Camp David between Egypt and Israel. The nuclear agreement is strategic and it ends the chapter of Iran’s struggle with the West and marks the end of threats against the Jewish state. This implies an end to the Islamic Republic’s struggle with the Israelis. This is most probably included in the agreement’s main conditions, regardless of what the propaganda machines say in Tehran. 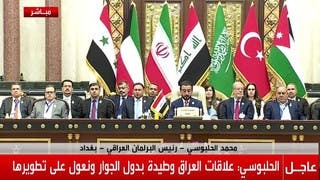 And so, Iran has now exited its struggle with the West and Israel, meaning it will now have time to preoccupy itself with the Arab-Iranian struggle and the region’s Sunni-Shiite sectarian disputes. What’s crucial for us in the Arab world in general, and the Gulf states in particular, is to consider our options. What options do countries in close proximity to Iran, like Saudi Arabia and other Gulf neighbors, have? They have lived through decades of tension and have in the past faced direct military confrontations and many proxy wars in Lebanon and Bahrain in the past, and most recently in Yemen and Iraq. I think there are only two options: reconciliation or confrontation, where the status quo, as we know it, will change. We are all aware that Gulf countries have always been ready to reconcile with Iran by nature of their passive regimes. However, Iran was mostly always on the offensive amid its desires to modify the region according to its own political and intellectual interpretations. I previously wrote in detail about an important initiative led by former Iranian President Hashemi Rafsanjani in the early 1990s – an initiative which led to reconciliation with Saudi Arabia and an end to the hostile propaganda and hostile moves from opposition groups and hostile propaganda on both sides. The initiative also led to establishing consulates and allowing both countries’ flights to use each other’s airspace and engage in commercial trade. This lasted for a few years, then relations relapsed after the Saudis discovered there were sabotage operations being carried out sponsored by an Iranian apparatus. The situation became more tense as Mahmoud Ahmedinejad assumed power. Iran may now want to politically transform into a peaceful country and thus abandon the idea of exporting revolutions and changing the region seeing as it is giving up its nuclear bomb plans. But we can’t know if this is true unless Gulf countries try to communicate with the Iranians to understand their orientations and figure out whether they are really willing to commit to what serves regional peace and security. It’s a difficult idea to imagine – it’s like having faith in achieving peace between the lambs and a wolf. But who knows? Iran may want to change and it deserves that we listen to it and test its credibility. The second option is that Iran wants to compensate for its nuclear project - which aims to achieve regional superiority – by expanding and increasing its gains on the ground. We’ve seen how, despite its peaceful negotiations with the West, Iran dared to send fighters and arms to directly engage in internal Arab wars for the first time. It fought alongside the Assad regime in Syria and Iran’s forces also currently fight in Iraq and Yemen – this is in addition to its role in the struggle in Lebanon. All this hints that Iran has grown more ruthless, not the opposite. The expression actually conveys less “commitment” and it’s not clear-cut, allowing Washington to dodge the topic whenever it wants. The Americans have previously suggested what they called a missile defense system to protect the Gulf from any Iranian attack but this is not enough. Gulf countries must therefore significantly develop their military capabilities, especially aerial skills, and establish their regional alliances. The aim is to convince Iran that the nuclear agreement must be a comprehensive peace deal and not just a deal exclusively linked to Israel and the West. This article was first published in Asharq al-Awsat on April 5, 2015.